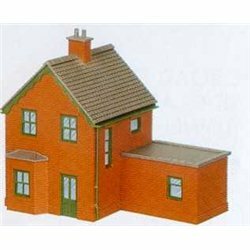 This kit will make two brick type station houses together with two single storey extension units. Assembly can be varied if required, extra doors, windows etc, are included to increase the variations possible. Area for house: 38mm x 41mm.